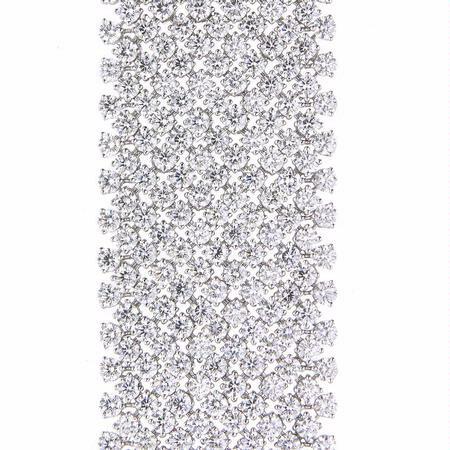 Diamond Details: 520 Round brilliant cut white diamonds, F color, VS2 clarity and excellent cut and brilliance weighing 46.90 carats total. 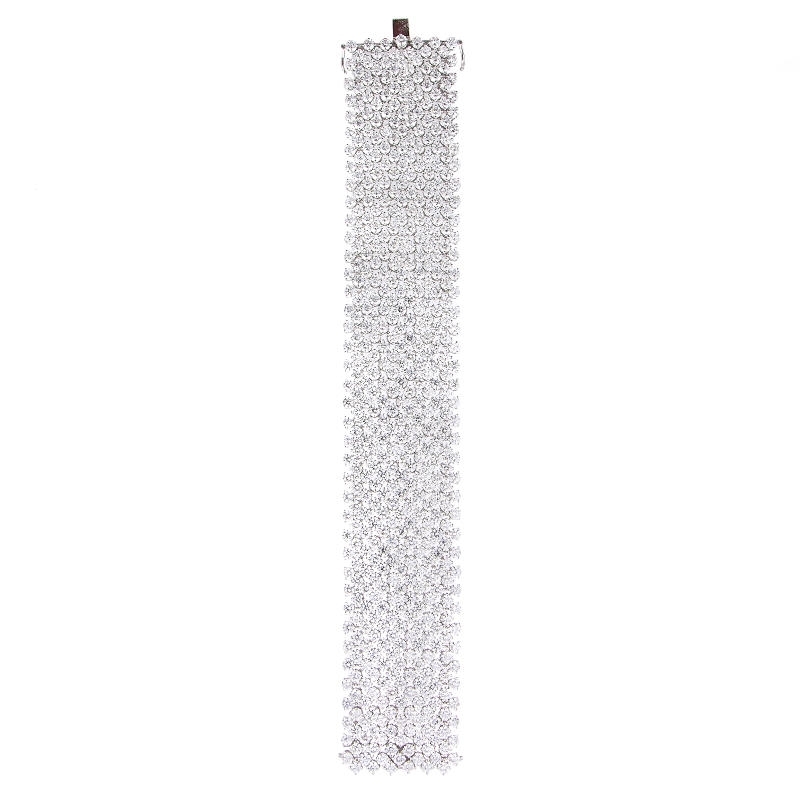 Measurements: 7.25 Inches in length and 28mm at its widest point. 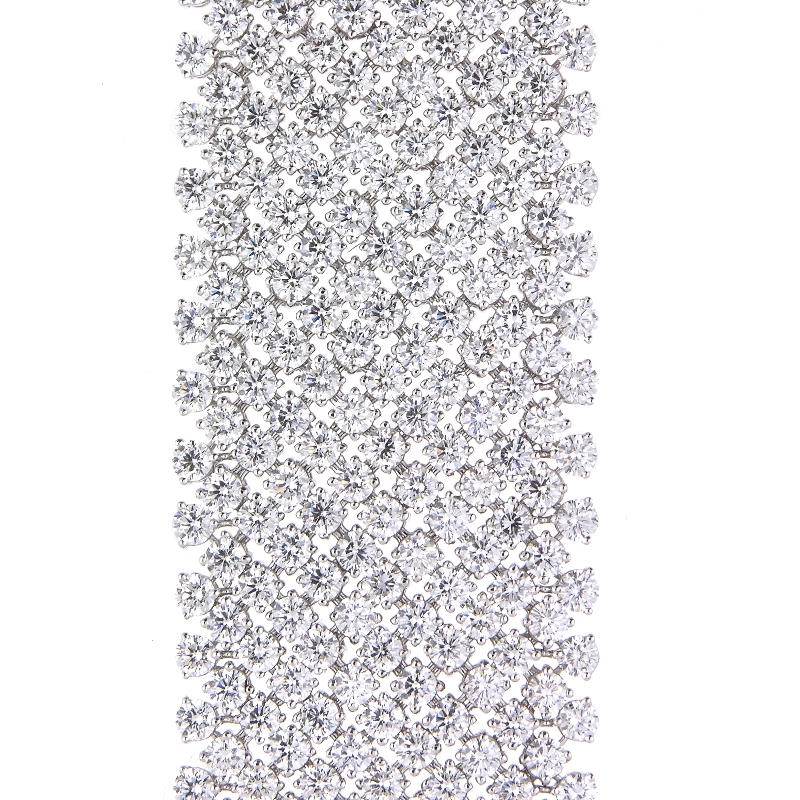 This gorgeous 18k white gold bracelet, designed in Italy, features 520 round brilliant cut white diamonds of F color, VS2 clarity and excellent cut and brilliance weighing 46.90 carats total. 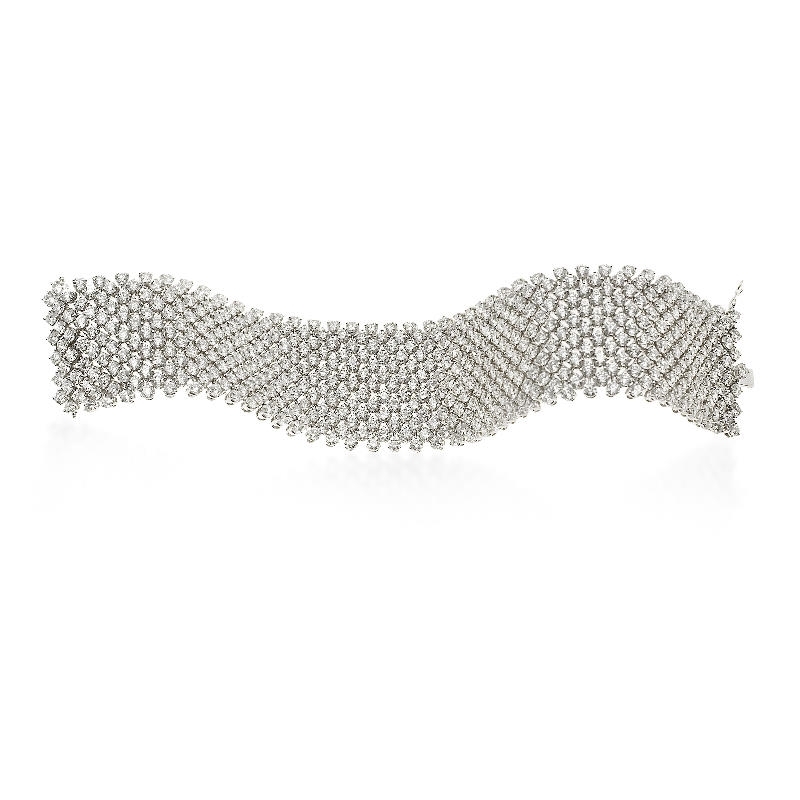 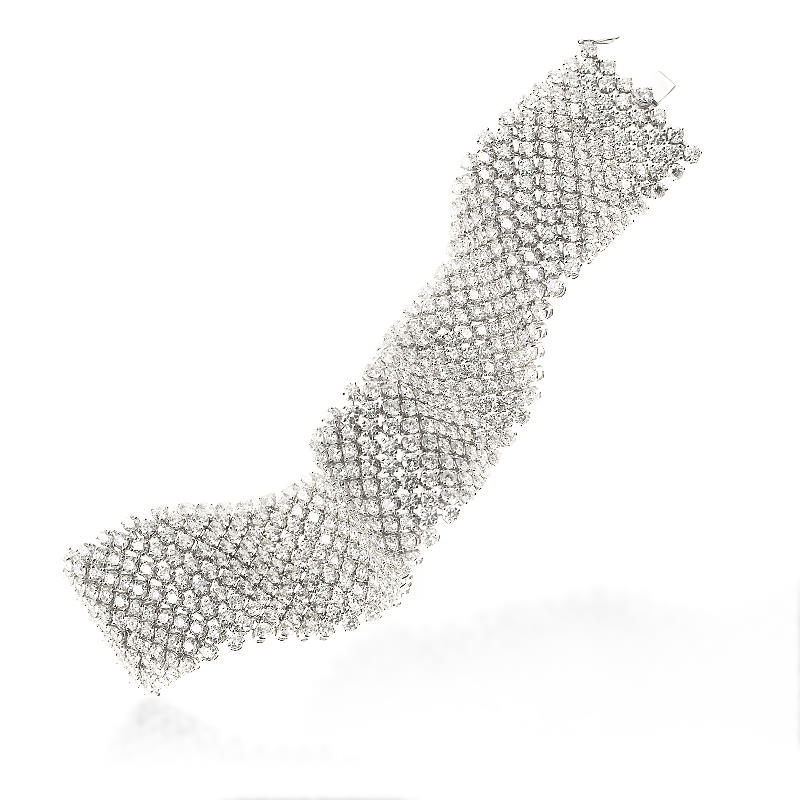 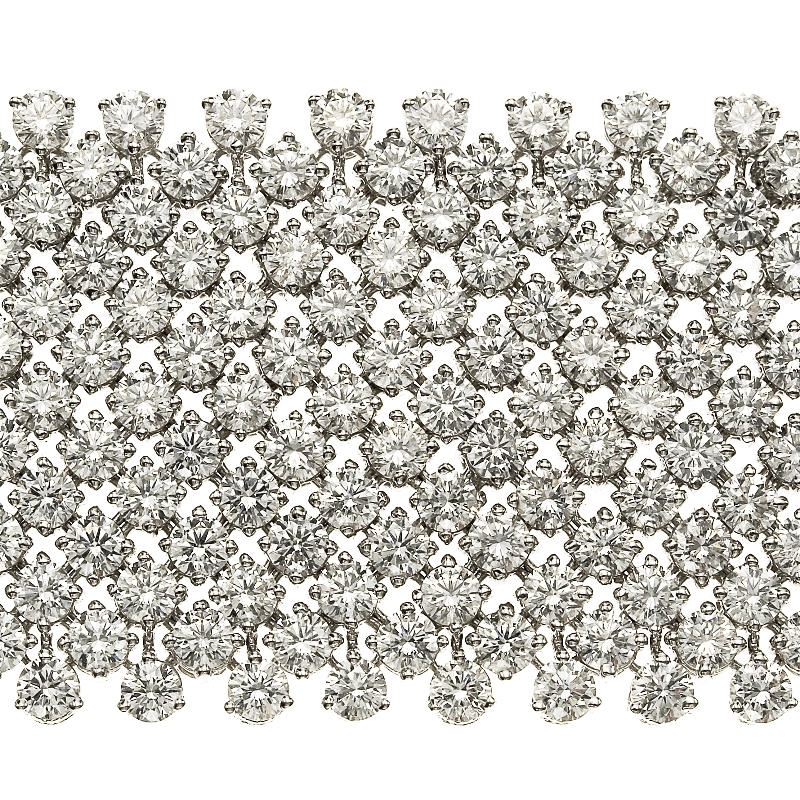 The diamond bracelet measures 7.25" in length and 28mm wide.